A vacation package to the Maldives is a dream for lovers of the sea and diving. A place away from everywhere and everyone where some hotels even forbid the use of mobile phones, with the aim of ensuring complete relaxation and a peace and quiet uninterrupted by any sound other than the Maldivian waves. The explorer Marco Polo described the islands as the “Pearls of the Indian Ocean”. Indeed, one of the translations of the name of this country composed of hundreds of islands is “the pearl necklace”. They are not all the same, however. Most of the all-inclusive hotel packages are concentrated in Malé, in the south, whilst in Ari Atoll, to the west, there are more fishermen and the occasional Buddhist ruins abandoned many years ago. Baa Atoll, in the north, is the furthest and the origin of most of the quality craft ware. But on a tour package to the Maldives, the real focus is the sea, excellent for anyone who enjoys diving or, quite simply, just wants to explore the coral reefs with a snorkel. You don't have to be a professional to enjoy this unrivaled experience. 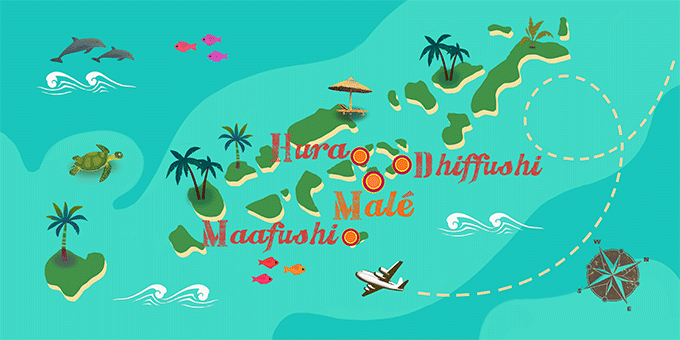 If Maldives has caught your attention, leave us your number so we can call you to discuss the voyage that awaits you.